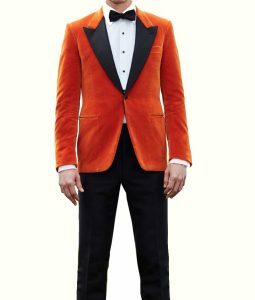 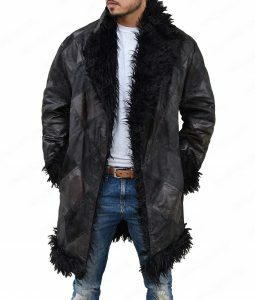 Enchant up your winter outlook with this creatively designed apparel that complies with all the classes of style and vogue. 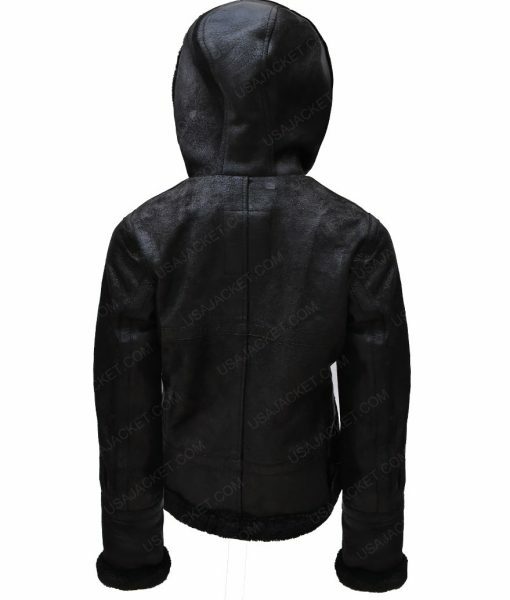 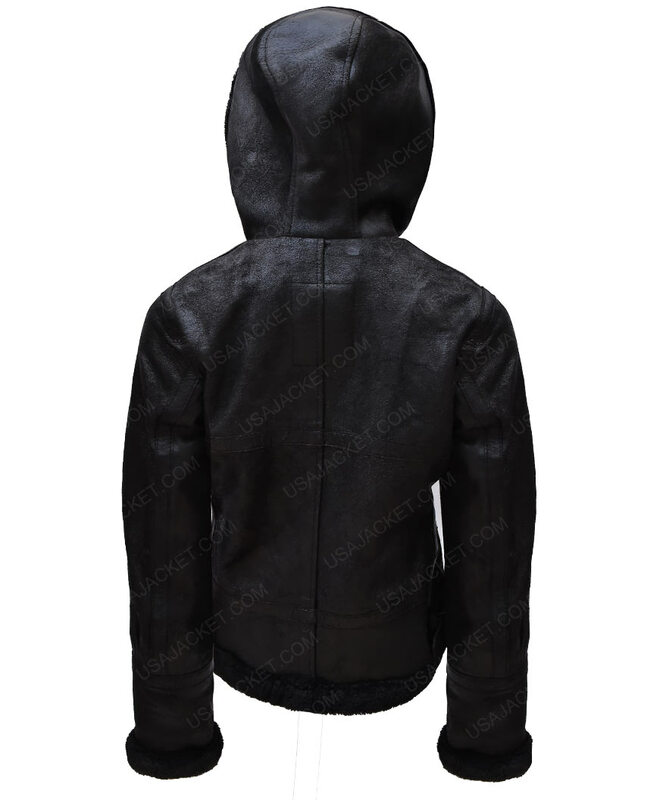 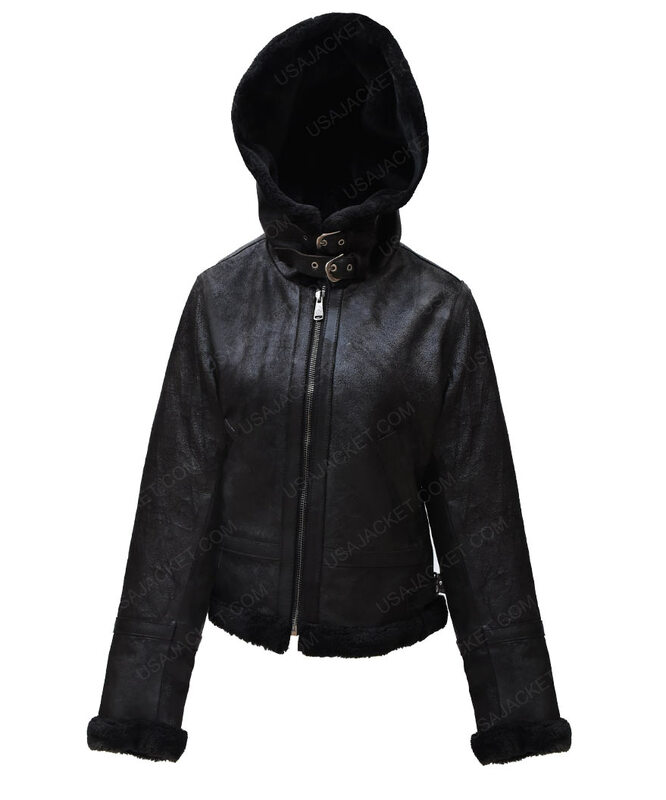 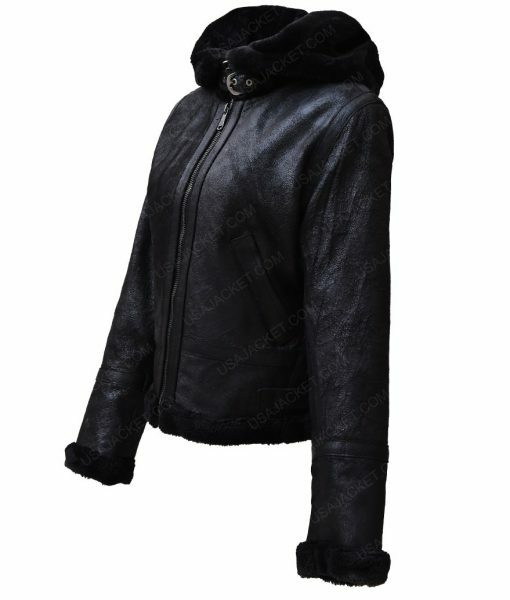 This Womens Black Hooded Fur Cuff Jacket is uniquely fabricated with those creative and supple styling that makes your presence highlighted. It is delicately fashioned with genuine leather &confined with soft viscose lining towards inner side. 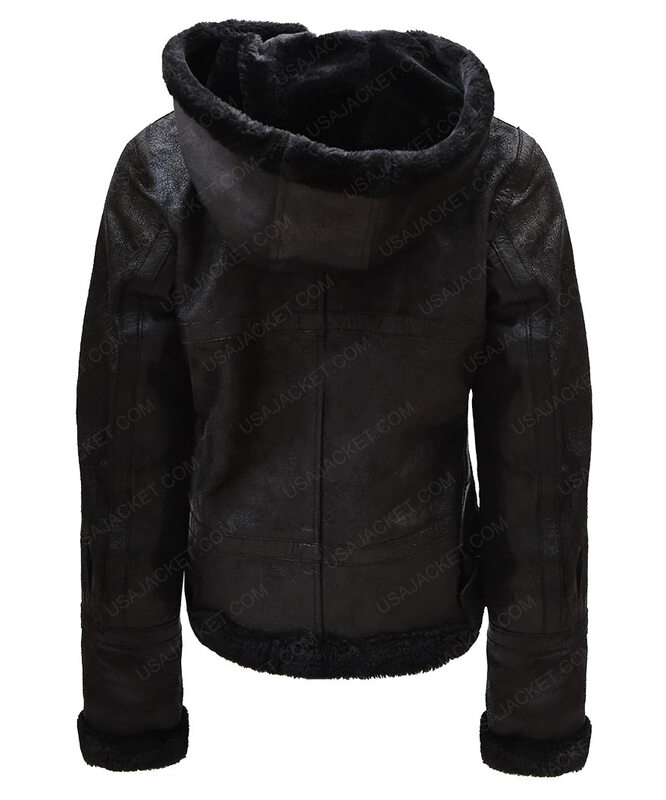 This Womens Black Fur Hooded Jacket has an artistic shearling collar embroidered and has full front zipper corsage defined. 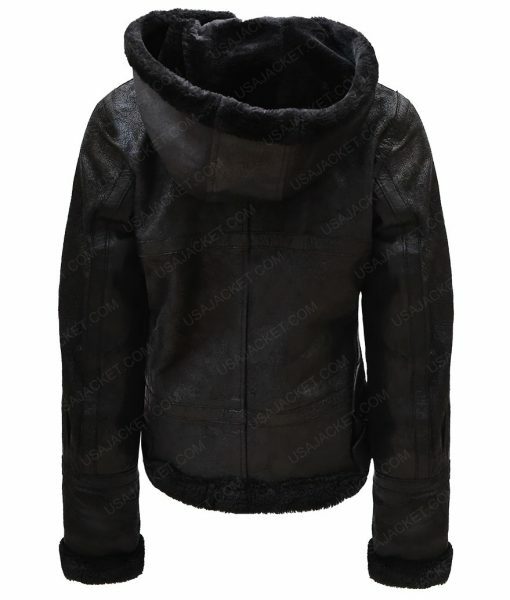 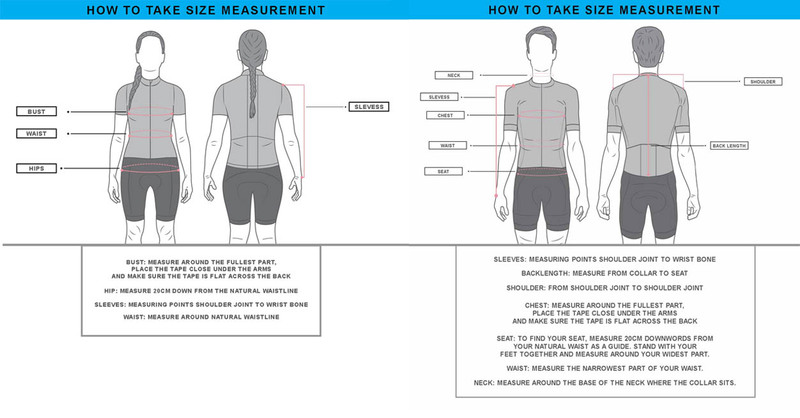 While the creative stitched designing on back makes this outwear class apart from rest of the others.